You can’t fight the ageing process – no matter how much you try and deny Old Father Time, he’s going to visit you eventually. Even a hefty dose of botulinum toxin won’t stop him. One man who recently found himself preoccupied with growing older is Windings, aka Steve Ryan (and band), and he came to a somewhat unusual conclusion – he wants to grow old like J.
Who’s J, I hear you ask? 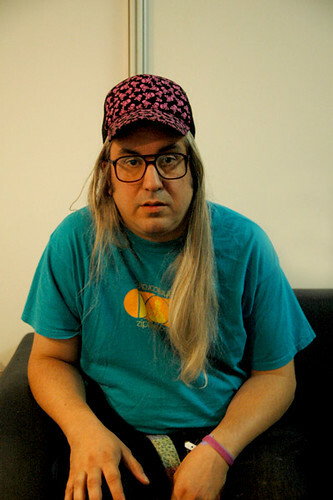 Why, J Mascis, of Dinosaur Jr fame. Windings’ new album ‘It’s Never Night’ (produced by Tommy McLaughlin, who has also worked with Cathy Davey and Villagers) is out on Friday 8 October, and the band are getting ready for a slew of live dates. Fittingly, it includes one in New York – as part of the CMJ Music From Ireland Showcase on 22 October in the Bowery Poetry Club. J would be proud.